The Exotica group meets on the 1st Friday of the month, at Our Lady of Fatima Church Hall, Foss Street, Palmyra from 6pm. Fee: $5.00. 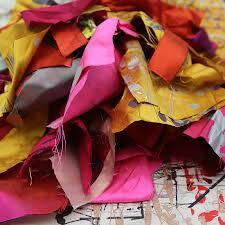 Come and join us in sewing with non-traditional fabrics. Please bring a plate. Have you souvenired exotic textiles in your travels along the way? OR inherited traditional table linens? Maybe found a woollen coat in the Op Shop in your favourite colour that you could not resist buying. If you enjoy going beyond the ordinary with the techniques that you use and the materials you have, Join Exotica! Find the courage with the support of fellow enthusiasts to finally cut into that magnificent kimono or slice up that damask table cloth, wash that African mudcloth… and create anew! Defining Exotica: objects considered interesting because they are curiously unusual or excitingly strange, maybe because they originated in a distant foreign country but all having a strange or bizarre allure, beauty, or quality.